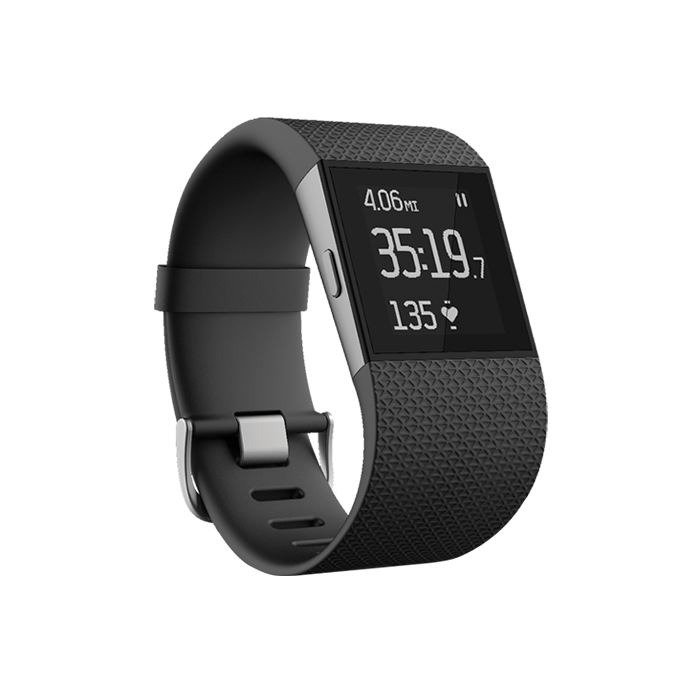 brettwray gave the Fitbit Surge a 3-star rating. A Fitbit that does everything, that’s what caught my attention with the Fitbit Surge. As a previous Fitbit charge user I was really excited to see what the Charge’s much more refined big sibling had to offer. And to be quite honest, it was not that exciting, I’m obsessed with new gadgets but I’m very critical and if it is not something that is really going to make my life easier and look good then I’m not going to like it. The Fitbit surge looked promising, I could check my heart rate, see how many stairs I climbed, how far I ran (I do not actually run…), how many calories I burned and so much more! The most important feature to me is the heart rate monitor, I’m obsessed with this feature, it’s a lot of fun to watch and to check out the graph on the FitBit app. One thing I noticed is that when I had my Red Bulls throughout the day, my heart rate seemed to elevate a little. That would worry some people but I took it as a challenge, when I was at the gym I made it my goal to stay in the “Fat Burn” range on the Fitbit app which really motivated me to make sure I continued moving. Another feature I was really excited for, getting text notifications on my wrist, I’m terrible at checking my phone and having the little reminder on my wrist was awesome and kept me on track. The Fitbit Surge is full of cool features for runners but I do not run, ever, so those features did not really apply to me. And the other features like the pedometer and stair counter were cool to look at but that really does not translate into activity for me, also, I hardly walk up stairs and I could tell that the Fitbit was counting me climbing in and out of my truck as climbing stairs. The Fitbit software and user interface could use some serious work in my opinion, the screens seem clunky to me and they are not really visually pleasing. Being that I was previously an Apple Watch user I was expecting something that could compete or at least keep up and the FitBit does not, the black and white display with little icons made out of square pixels is not pleasing at all. I think Fitbit was going for something simple, but in this case I feel that they have over simplified things and it caused the interface to be disappointing. The Fitbit app however is great and it has improved drastically since I was a Fitbit charge user, everything is laid out in nice way, the graphs are easy to read and informative and there is so much information that can quickly be accessed. If Fitbit can figure out how to integrate more of the features of the app into the watch they will have a real winner in their lineup. The battery life is where the Surge excels over both the Apple Watch and the Fitbit Charge, I was expecting to have to take the Fitbit Surge off each night and set it on the charger but it held on for 5 days on a full charge, that to me is the most important feature and Fitbit absolutely blew me away with the battery life. The physical design of the Surge itself leaves a lot to be desired, if I could use one word it would be “clunky.” The band is wide and where the band and watchface meet is an odd shape with a strange bend in it that doesn't allow the Surge to comfortably sit on my wrist. Comparing to an Apple Watch, the Apple watch is far more comfortable and sleek, I can wear an Apple Watch all day every day without noticing it’s even there. With the Surge I found myself having to take it off throughout the day, sometimes I need to stick my arm in small spaces and the Surge would prevent that from happening, I also found that the band material is far less comfortable than any other wearable or watch that I have ever worn, it is hard and the clasp is large, leaving my wrist sweaty and uncomfortable with indents from the clasp.